So after my class let out I decided to drive to Marion to the teacher store that's going out of business. 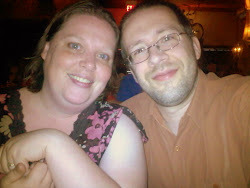 I'll be sad to see it go, but I didn't visit it nearly often enough. The drive from Mansfield to Marion isn't a bad one, about 45 minutes down 309, but I'd never driven it before so it was"an adventure". 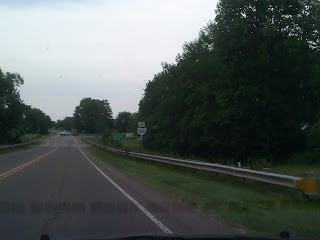 I passed some familiar landmarks along the way, like this sign for rt 100 which I travel daily, and another for rt 19 which I also travel daily. I drove through some small towns that I'd heard of before but didn't know where they were. And it was beautiful. Nothing so out of the ordinary, fields, and farms, and small towns... but different from the ones I see every day. 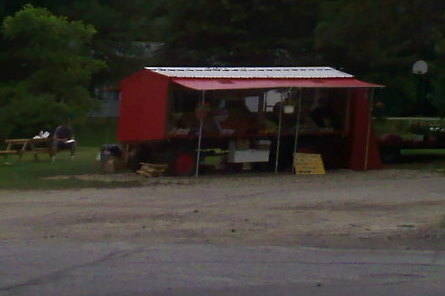 And a farmer's market along the side of the road. it seemed very well stocked for this early in the season, but I didn't have time to stop unfortunately, just to snap a quick picture as I passed. But then... at a stop light just a mile from Marion I glanced over and saw the 2 most amazing words - GOURMET CUPCAKES. Well you better believe I turned around at the first available drive and went back to find out more. Ta Die For - Gourmet Cupcakes was the buried treasure on my drive from Mansfield to Marion. 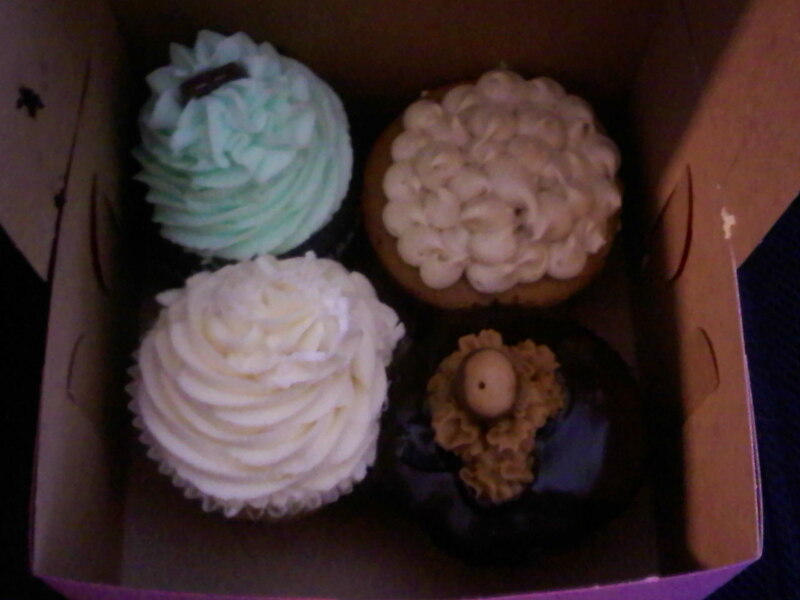 I bought 4 delicious creations : The Alpine (dark chocolate and minty goodness), Just Peachy (a cupcake loaded with fresh peaches and topped with a nutmeg and brown sugar frosting - my favorite of the bunch), Tropical (full of macadamia nuts and coconut and pineapple), and the Buckeye (a chocolate cupcake with a pocket of peanut butter inside). Proving you just never know what you might find when you take a driving adventure.